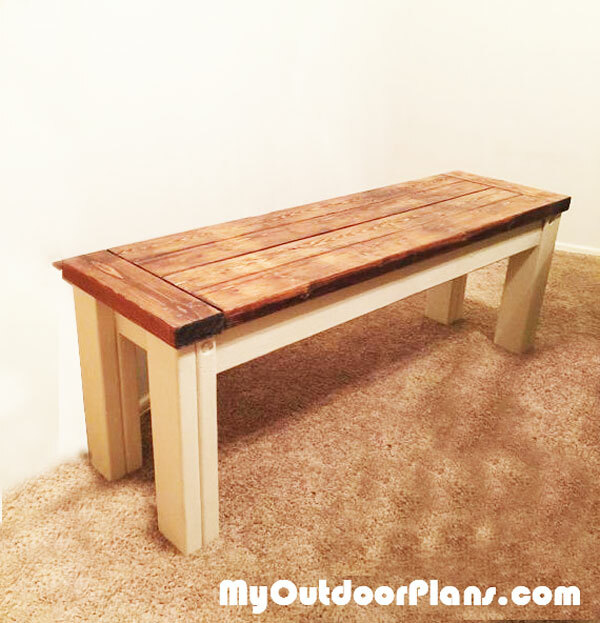 This is my latest woodworking project: a farmhouse bench, I only used 2x4s for the bench, as I wanted to keep things simple. I glued two 2x4s together to make the legs. 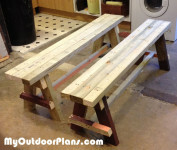 I used pocket holes to assemble the frame of the bench together. I will be also building a farmhouse table to complete the set.